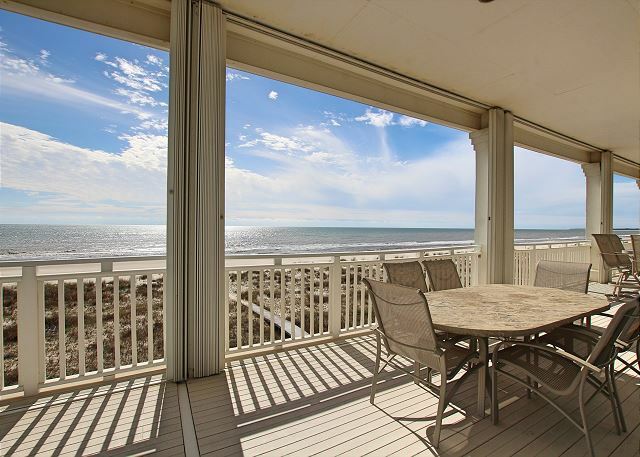 Enjoy luxury and coastal comfort in a beautiful Gulf-front home. 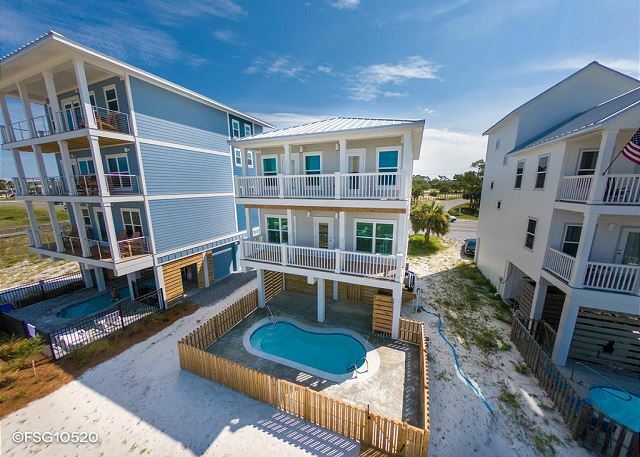 Relax in the fabulous community pool or put your feet in the white sandy beaches and turquoise waters of Cape San Blas; both just steps away from your front door. Enjoy a front-row seat for unparalleled and mesmerizing sunsets. Gulf-front with a private pool, heated spa, screened porch, commercial ice machine, 2 living areas, and chef's kitchen with double ovens. 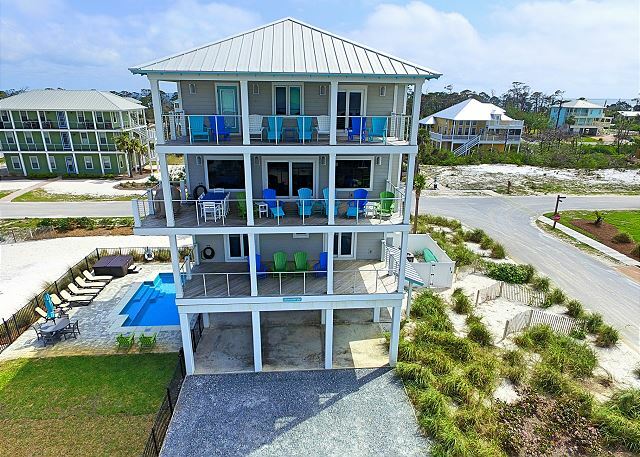 The picture-perfect vacation home that accommodates 16, beachfront with a private pool, elevator, 5 King Master Suites each with private bath, a children’s bunk suite with private bath, and open concept indoor living areas with expansive Gulf views. Enjoy a private retreat in low density area, new construction, elevator, private pool, hot tub and expansive Gulf views. Perfect for large scale family holiday especially with Ensuite baths for each bedroom. 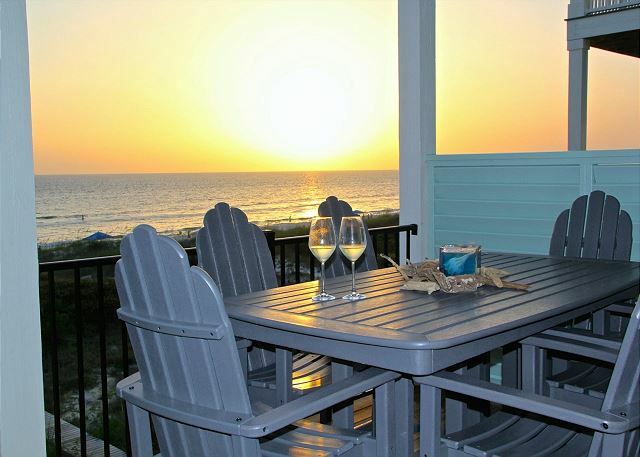 Find relaxation in this coastal chic Gulf-front beach home. 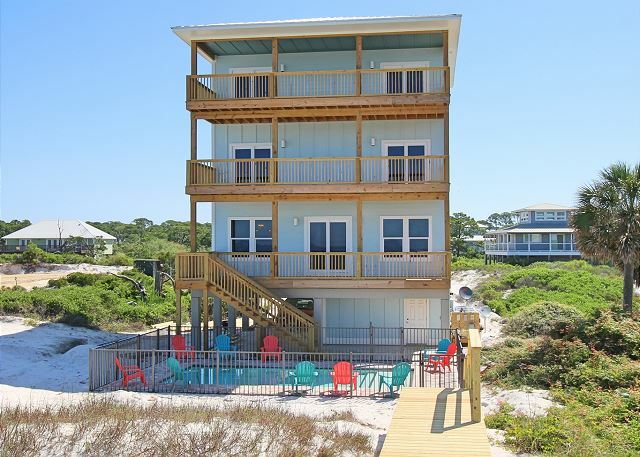 To ensure you have a perfect vacation, it provides a private pool, hot tub, private boardwalk to the beach, 4 King rooms, 1 bunk room, 2 Gulf-front decks, large gourmet kitchen and wine cooler. Gulf-front luxury living in a gated community, 2 community pools, fitness center, tennis courts, Bay access and much more. 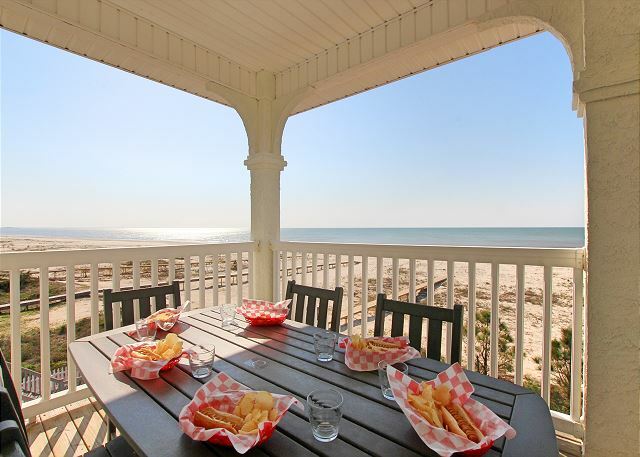 Relax in the screened Gulf-front porch or sun in the privacy of the fourth floor deck. 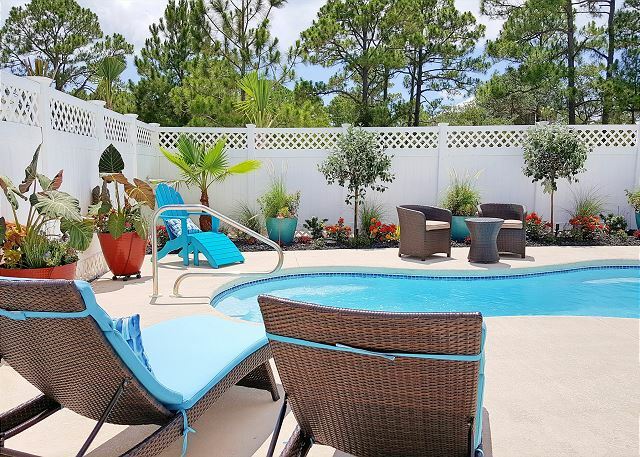 Ready Summer 2019 - Gulf-front gated community, 2 community pools, fitness center, tennis courts. Start the morning in the Grand Master coffee bar, then lunch on the screened Gulf-front deck and finally dinner with amazing sunsets providing the backdrop. 6 BR, 6 bath with 2 half baths, Gulf front, private pool, elevator, wine cooler, wet bar, stand alone ice maker, 2nd refrigerator, 2 dishwashers, private bath for each bedroom, designed for family groups. 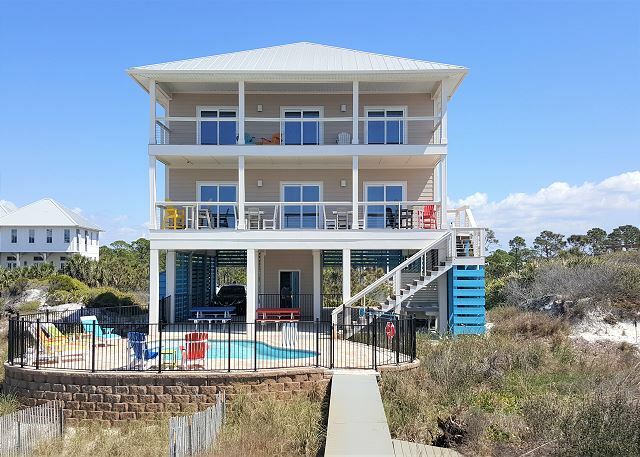 Providing an exclusive vacation experience at North Cape San Blas, Gulf-front home with hot tub, gated community, large parking area, elevator and great entertaining environment. Custom home, all on one-level, ramped entry, and located in the beautiful community of WindMark Beach. Community pool, play area, and boardwalks throughout for access to the full community. 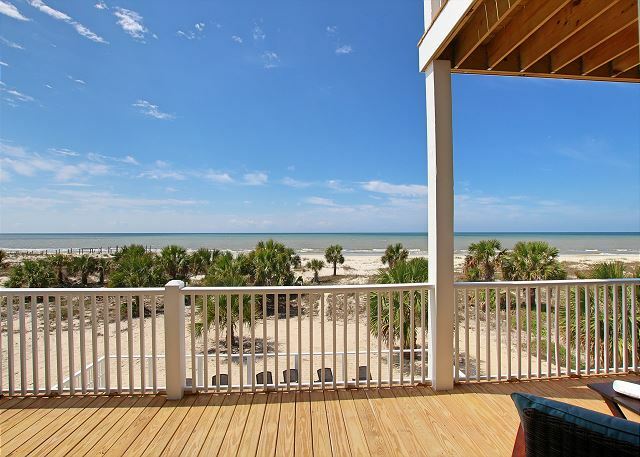 Smaller unit with easy beach access and fantastic Gulf views. Private bath for each bedroom. Family, budget and pet-friendly. 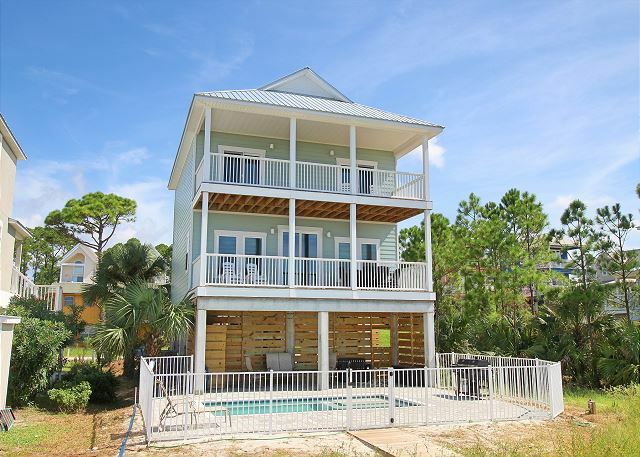 Gulf-front, 4 bedroom, 3 bath, comfortable screened porch and sun deck to enjoy the beautiful beach views. Great location for fishing, bird-watching, boating, and kayaking either in the Gulf or Indian Lagoon. Only 1/4 mile from Indian Pass boat ramp. 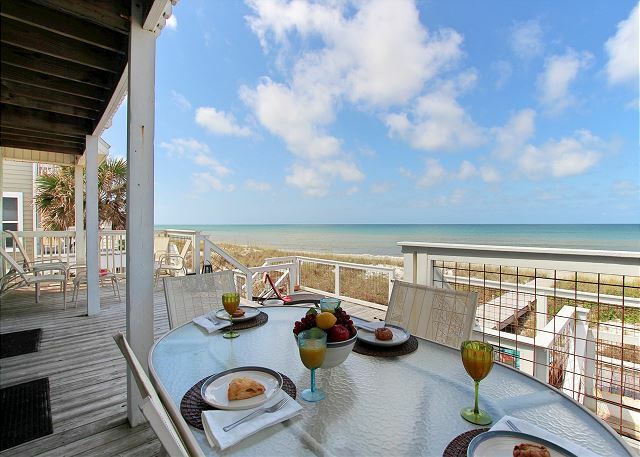 This cozy gulf front 3 bedroom, 2 bath home boasts amazing views of the gulf. Perfect for smaller groups or families, this home has an updated kitchen with stainless steel appliances and granite counter tops. Loads of outdoor seating! 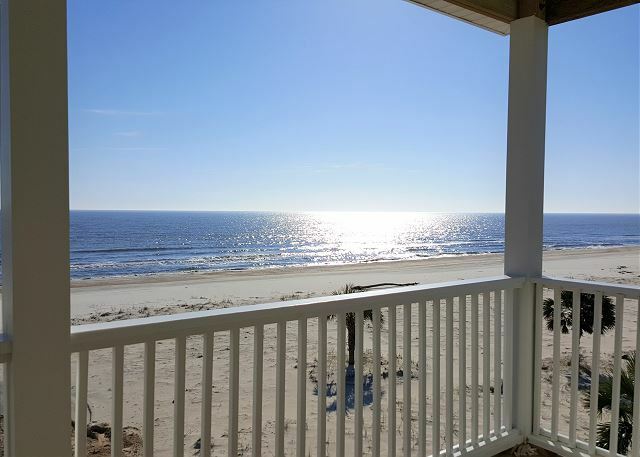 This charming gulf front home is perfect if you and those closest to you need to just get away and re-connect. Located on the coveted north cape, this home sleeps 6 comfortably with multiple bright, open seating areas to include a built in bar on the deck. Beautiful Gulf-view home with private pool, two wide screened porches, fenced dog area, and kitchenette near pool area. Golf cart available for additional fee. 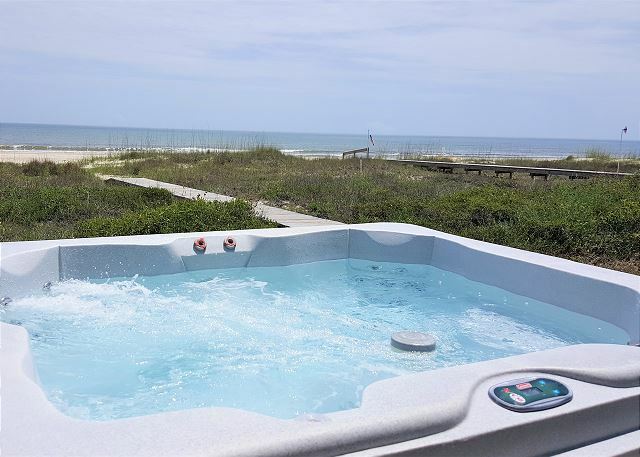 Enjoy a glass of wine as you watch the phenomenal Florida sunsets from your beachfront hot tub or watch the stars you have not noticed in a long time. This home is perfect for smaller groups. Beautifully landscaped home with private saltwater pool, 5 BR, 3.5 Bath, also has room for parking a large boat. 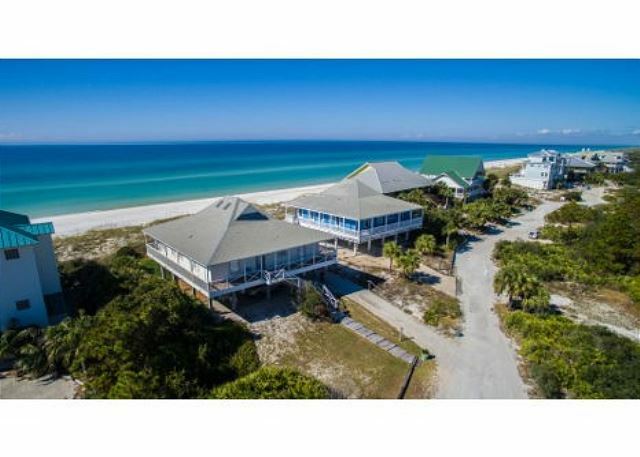 Gulf-front home close to Indian Pass boat ramp, golf cart community and views that make you think you can see forever. 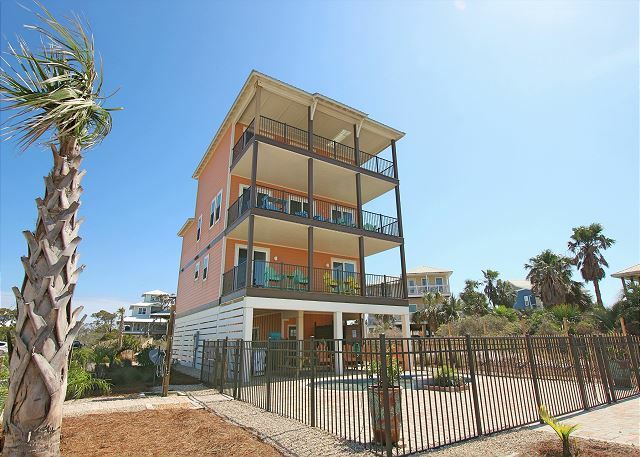 4 Bedrooms, 3.5 baths, all bedrooms are Gulf-front, screened porch, sun deck, phenomenal views all make this the perfect place to begin your family/friends beach memories. 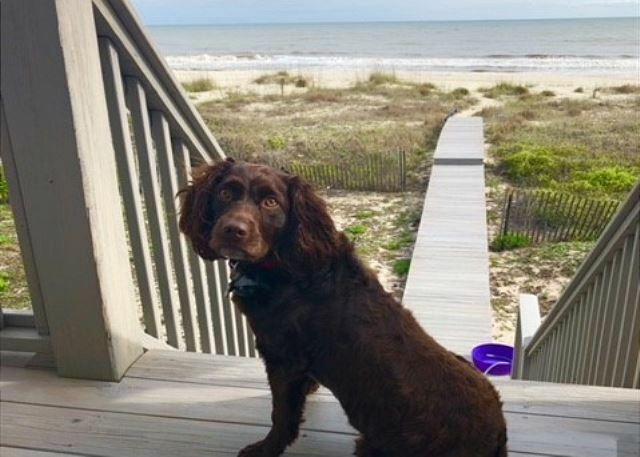 Newly remodeled, this 4 BR, 3 Bath, beautiful beachfront home has awesome views, screened porch, two sun decks and private beach boardwalk. Turquoise & Caicos has undergone major renovations, is a Gulf-front beach home with private pool, ramp for easy access, Gulf front porch, private boardwalk and spectacular Gulf views. SWIM SPA IS HERE! 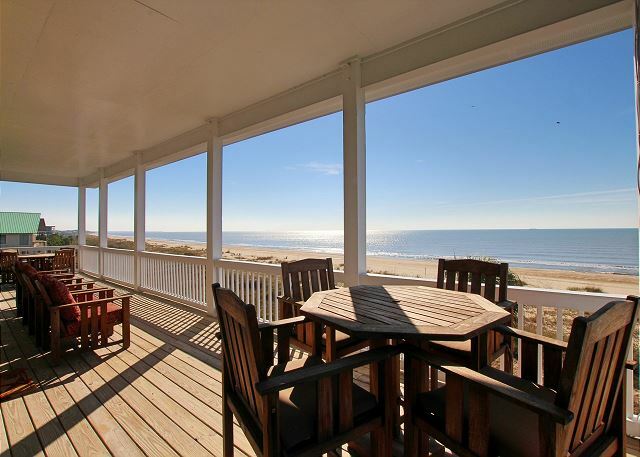 View goes for miles, this Gulf-front home accommodates 10. 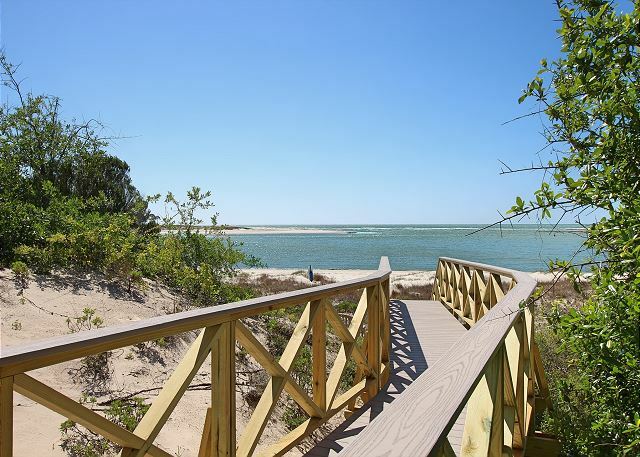 Located in a quiet community, this home offers private boardwalk, “ship” themed bunk room, chef’s kitchen, 2 Gulf-front decks, a garden side deck and grassy landscaped yard. 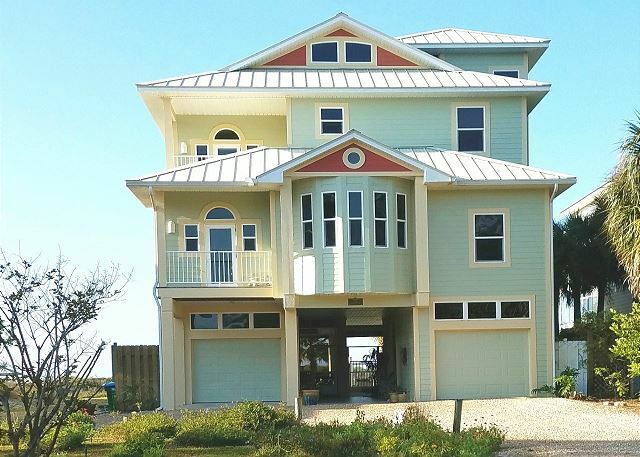 This is a wonderful Gulf-front home perfect for a family or group of 12. 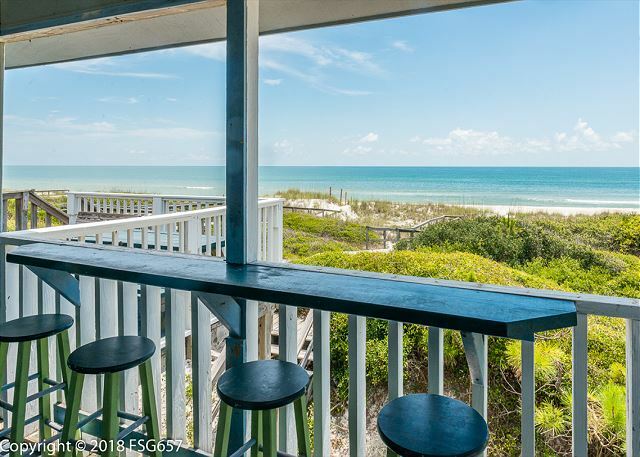 A multi-level beachfront deck provides room for dining as well as sunning while looking down on the white sand beaches and jewel tone waters of Cape San Blas. Gulf-front at the end of a quiet residential street is a re-imagined beach home with everything you need for a fabulous beach vacation. 4 bedrooms, 3.5 baths, a beautifully updated kitchen, stand-alone ice maker, private pool, hot tub, and firepit. The perfect beach vacation home with a private pool, elevator, 3 King Master suites each with private bath, fantastic children’s bunk suite with private bath, and large indoor and outdoor living areas. This is a golf cart friendly area. 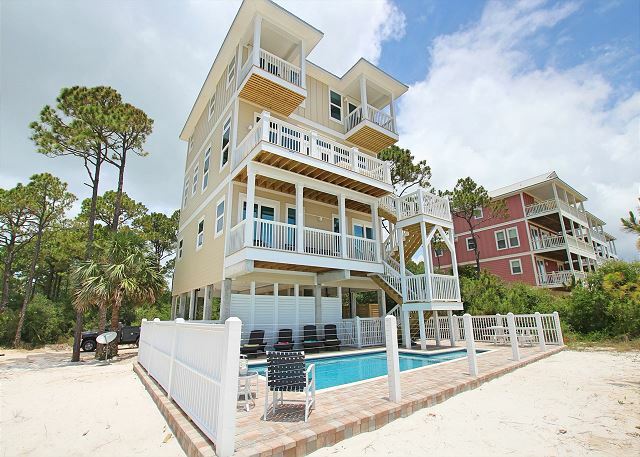 Featured on House of Turquoise, Sunnyside Up is located in the coastal community of Seagrass. This beautiful home has a private pool, hot tub, fire pit, elevator, phenomenal views and private bath for each bedroom. 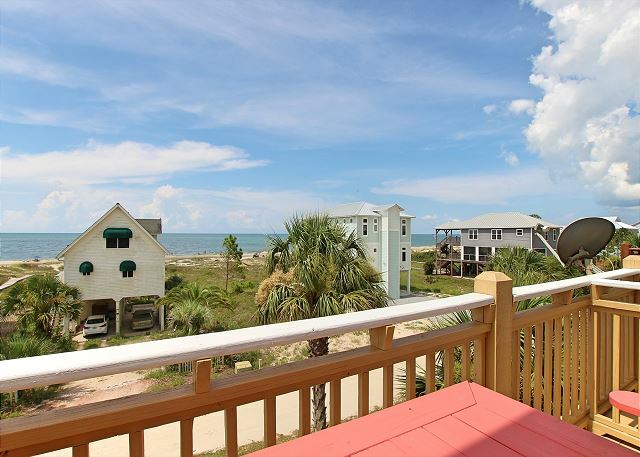 Gulf-front 5 BR, 5 bath home with private pool, panoramic views and small quiet community. Recently remodeled, this home boasts custom leather furniture, upgraded seating areas, brand new electronics, fire pit and more! 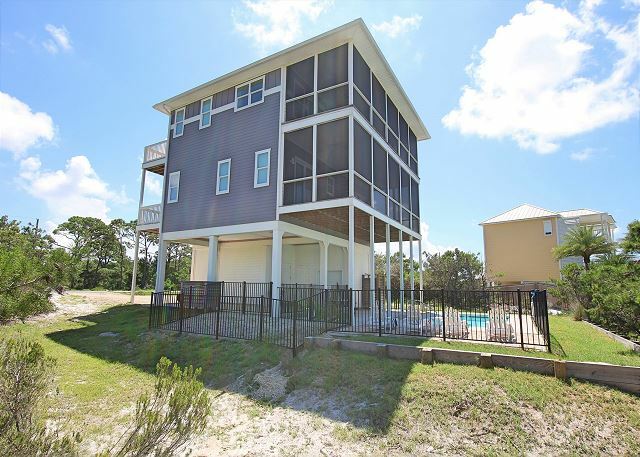 Nestled in the quite subdivision of Two Palms this well appointed 4 bedroom, 3.5 bath, Gulf-front home boasts beautiful views of the Gulf of Mexico as well as an elevator to help make unpacking a breeze! Bay-front luxury living in a gated community, private pool, 2 community pools, fitness center, tennis courts, Bay access and much more. 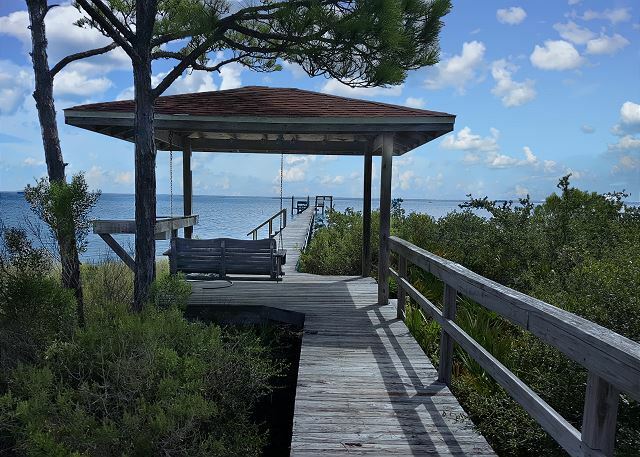 Breath in that wonderful salt air while enjoying phenomenal views from this Gulf-front home, community pool, private boardwalk and small, private community. Pet-friendly. Experience days in the sunshine right on the Gulf, sunsets like no other, and nights with stars that have never shone brighter. 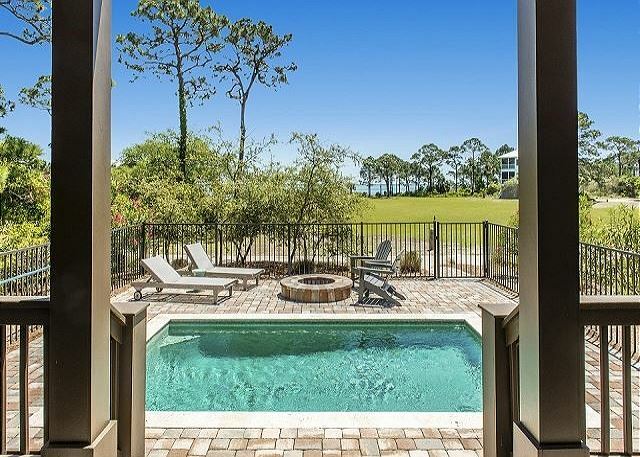 Enjoy Gulf-front living with a private pool. 5BR, 4BA Gulf-front home with private pool, private beach boardwalk, fire pit, fenced dog run, featured in 2 home tours, all wrapped up in a gated community. Seclusion + luxury = Beachalicious. 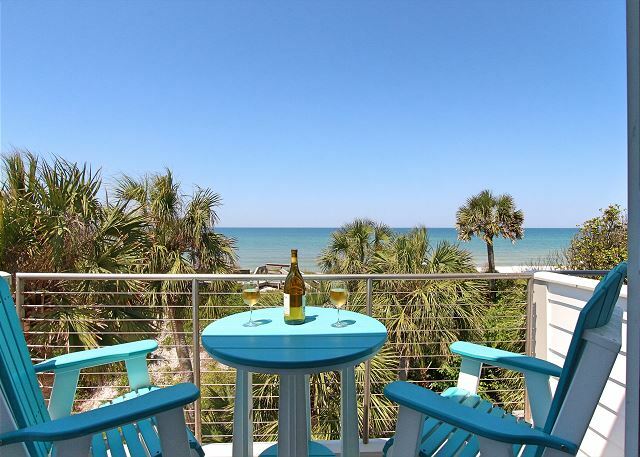 With no adjacent rentals, this beautiful Gulf-front home offers unparalleled privacy and views. The private pool and boardwalk, wrap-around porches and elevator make this home the vacation destination of your dreams. Newly remodeled Bayfront with private screened pool, hot tub with bay view, ramp, dock, dock swing, fire pit, fenced dog area, privacy because of no adjacent houses, 2 kitchens, 2 laundry areas, and 2 living areas. The perfect beachfront vacation home with a private pool, 3 King Master suites each with private bath, fantastic children’s bunk suite with private bath, and large indoor and outdoor living areas. This is a golf cart friendly area. Gulf-front massive home with expansive views, huge lot, private bath for each bedroom, elevator, 2 kitchens, 2 living areas, garage, plenty of parking. Gulf-front home with private pool, panoramic views and small quiet community. Recently remodeled, you will find custom leather furniture, updated indoor and outdoor furniture, upgraded electronics, fire pit and more. Beautiful new home with room for large group, gourmet kitchen, pantry, 30-foot long private pool, kitchenette close to the pool and grilling area, private kids retreat and an elevator. New construction home with so many amenities: Bayfront, private boat dock, elevator, private pool, outdoor pizza oven, and unbelievable views. 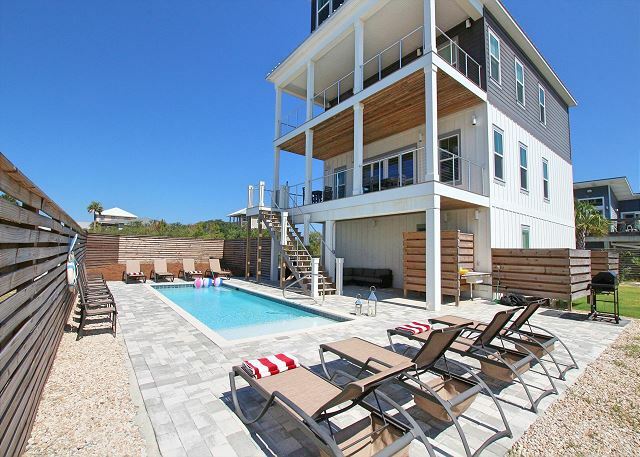 Find the Sweet Life and enjoy beachfront living, a private salt water pool, private boardwalk and so much more. 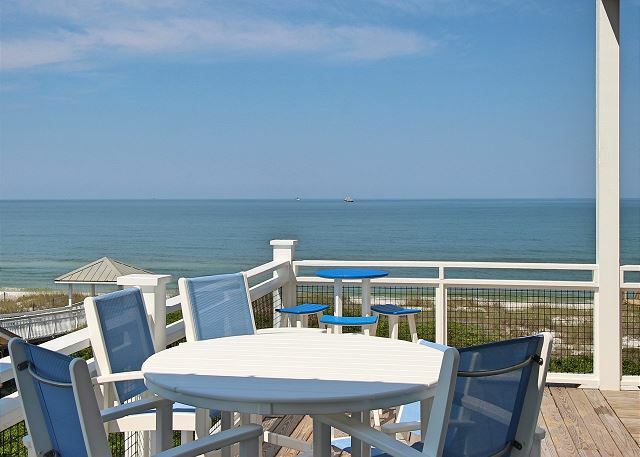 This serene beachfront getaway provides Gulf-front living with amazing views. Such a perfect location providing a beach that is void of a crowded coastline most areas have to endure. 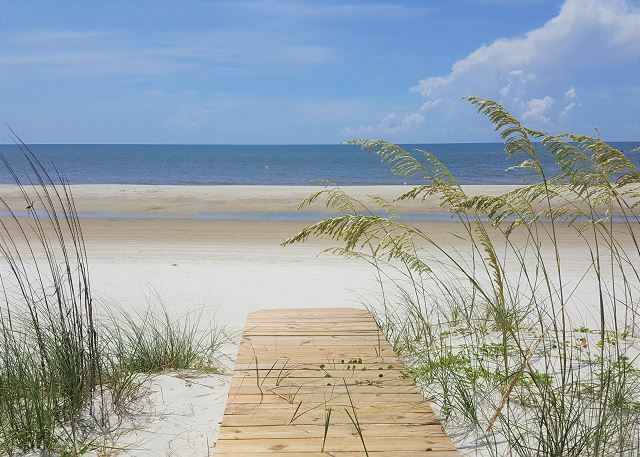 Just steps from the sugar-white dunes of Secluded Dunes, delivers beautiful views of the Gulf’s emerald waters. An elevator provides access from the parking area and the remainder of this home is all on one level. 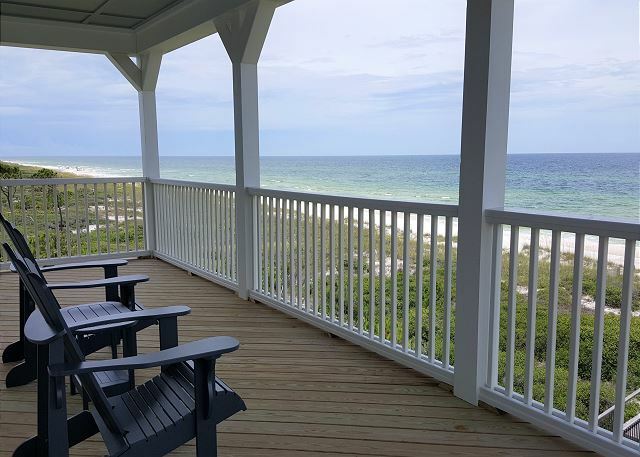 Hurricane Michael Update- All repairs to home have been made This professionally decorated home offers expansive views of the emerald waters of the Gulf of Mexico. On the sugar-white dunes of Secluded Dunes, The Sea Turtle delivers unparalleled views of the Gulf’s emerald waters. An elevator provides access from the parking area and the remainder of this home is all on one level. Private bath for each bedroom. Beachfront Paradise is a beachfront home with a private pool, grass fenced yard, two living areas, two kitchens, pool table, separate ice machine and so much more. POOL IS COMPLETE! Your first view from the 10 ft. tall glass wall on the main level you will immediately know that you chose the perfect beach house. 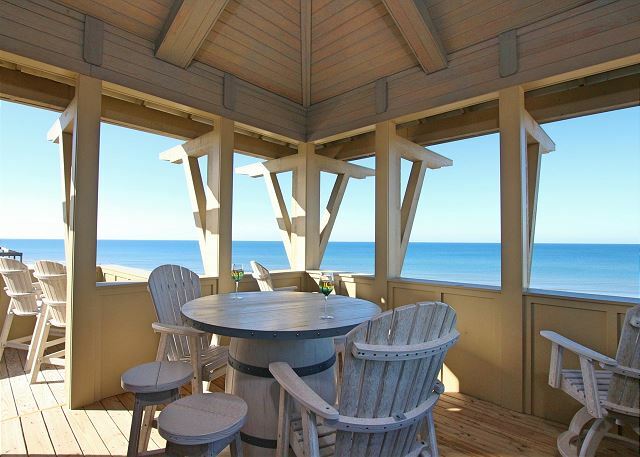 This 5 bedroom, 5.5 bath home sits atop a sand dune providing some of the best views you will find. Experience Old Florida charm in a state-of-the-art home located in the tall pines and cabbage palms of Indian Summer community. A community pool is available for your use, basketball hoop, and a private beach boardwalk are all available, plus much more. Whether you are soaking up the sun's rays on our white sandy-beaches, soaking in a private beautifully landscaped pool, or in the soaking tub of the luxurious Master bath, Bella Vita beckons you to come and enjoy the relaxing atmosphere of coastal living. 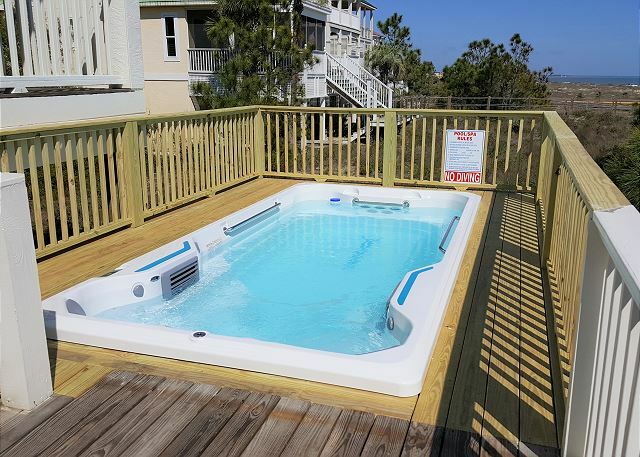 Play volleyball in your private pool or enjoy breath taking sunsets from your beachfront hot tub. This large southern home will blow you away with all the features provided in 6,647 square feet of living space and expansive porches overlooking the Gulf. 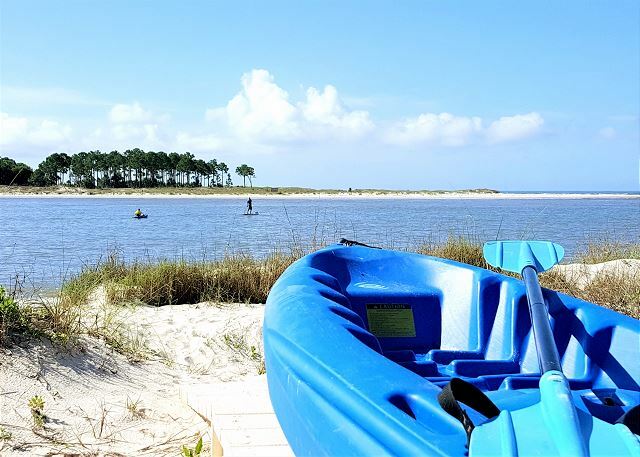 Rosemary Dunes is a mini-resort on North Cape San Blas. Enjoy Gulf-front living, private pool, elevator to make easy access between the 4 floors, and the views!!! All remaining May weeks just discounted!! 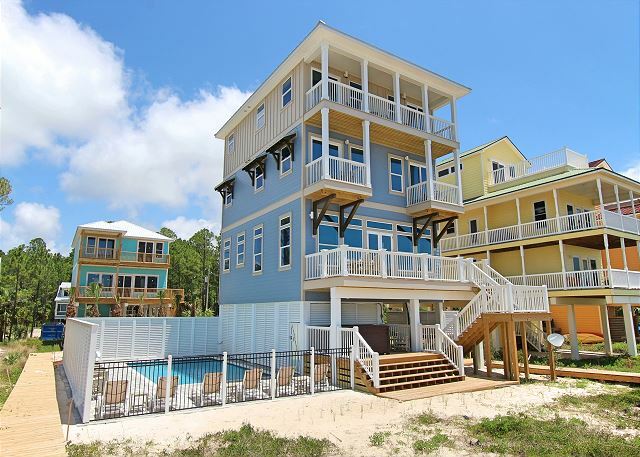 This luxurious Gulf-front home accommodates 14 in 6 bedrooms, elevator to all floors. Perfect for multi families, girls' week away, but not too large for small families. Whether you are looking for a quiet rest, play, family time or all of it, Piper’s Nest is the perfect vacation place. Community pool, elevator to all floors, and amazing Gulf-front views are all found here. 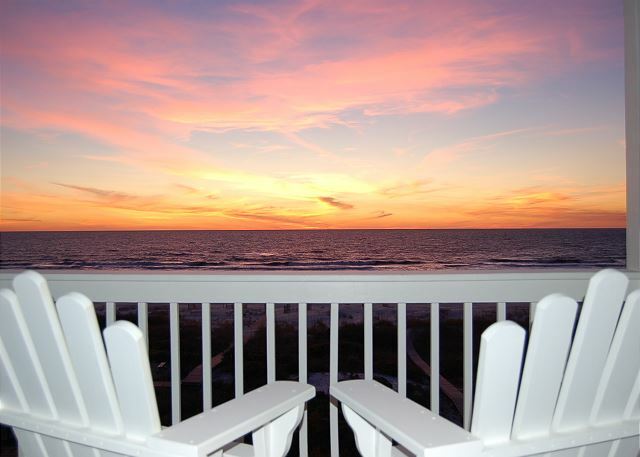 Gulf-front with extensive views, relax in the hot tub or rekindle your love for s'mores in the beachfront fire pit. 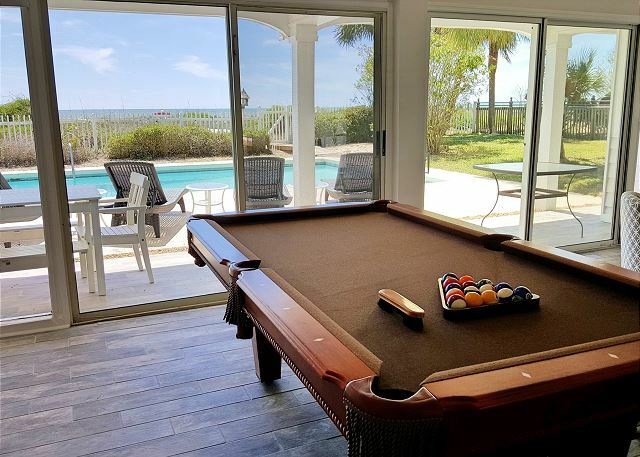 Bayside Sportsman's Paradise has screened infinity pool, poolside TV, private dock, hot tub, exterior elevator, commercial ice maker, fenced dog area, game room with Foosball and Air Hockey, bait freezer, deeded beach access and more. 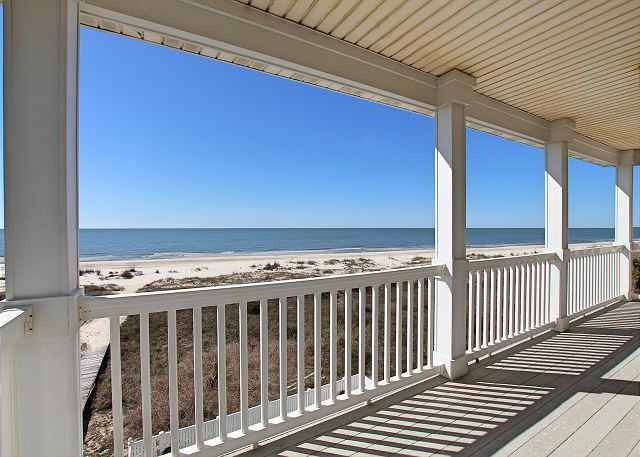 Gulf-front home has room for boat parking, private beachside pool with spa and boardwalk. Enjoy incredible sunsets from the decks or experience them from the white sandy beach just steps away. This home is brand new to the rental market! First season specials! Three King suites, waterfront, lagoon views, and located at the mouth of St Vincent Sound for excellent fishing and bird watching. Designer appliances makes this a kitchen of dreams. Gulf-front home with stunning views of the best beach location of the Cape. Seaside Sea-Esta is located in a gated community at the north end of the Cape where you will find the most amazing emerald waters and daily shows by dolphins.